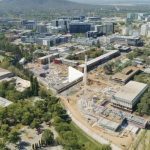 The remaking of the heart of a tier one university such as the Australian National University (ANU) is globally significant in ambition. Kambri is a new innovation and culture precinct within the heart of ANU that will change the relationship the University has with the city, establishing itself as a vibrant new precinct in Canberra, as well as resetting ANU’s academic experience merging contemporary learning with an enriched cultural life. 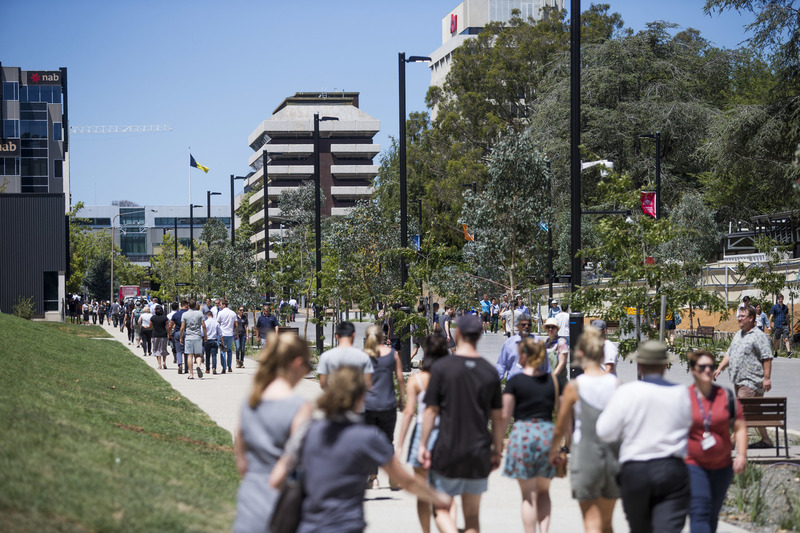 Yesterday BVN joined ANU in celebrating the opening of Kambri. 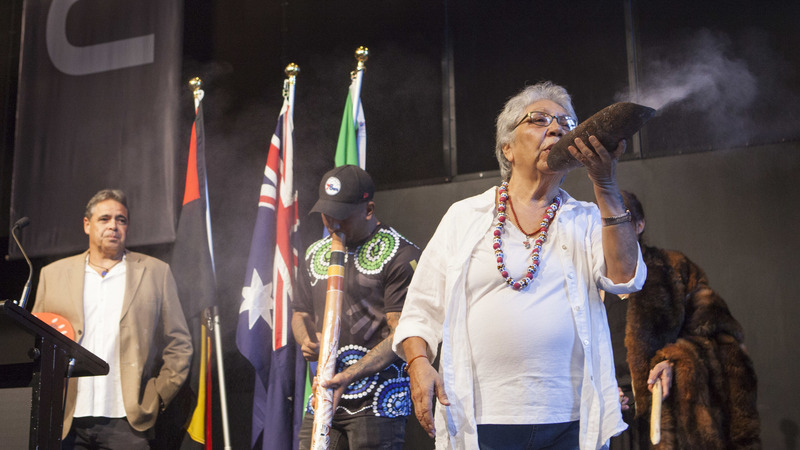 Indigenous elder Dr Matilda House during the opening of the new Kambri Precinct at the ANU. 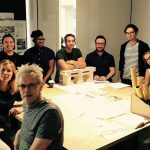 As architects for the precinct, BVN were able to create a united ensemble of six buildings, around new public spaces, each with their own distinctive character and purpose. BVN lead architect and co-CEO Ninotschka Titchkosky said “The Chancellor is a passionate advocate for architecture, he was very clear that given the ambition of this opportunity, the solution needed to be reflective of the University’s character, bringing together contemporary academic life, design and construction innovation with timeless elegance”. Kambri needed to embody ANU’s DNA. The new Kambri Precinct at ANU. 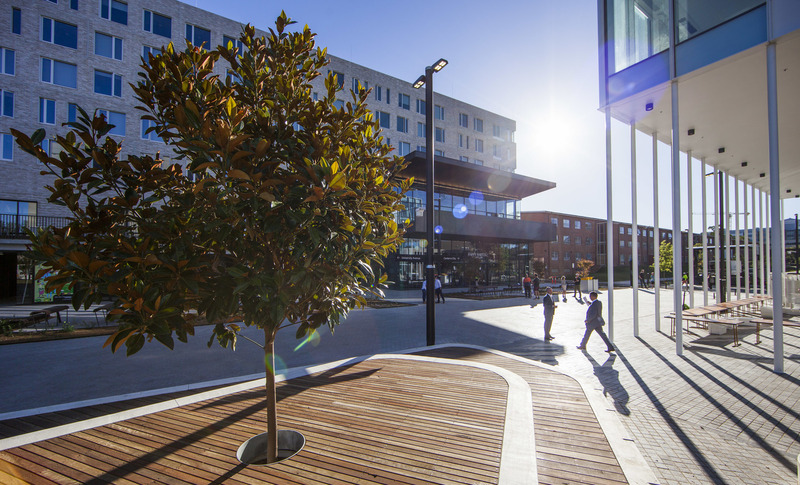 Kambri has some significant innovation stories to tell, says Ninotschka “This precinct is innovation rich, it incorporates two of Australia’s largest mass timber construction buildings, the 450-bed student accommodation and the 5-storey collaborative teaching building. 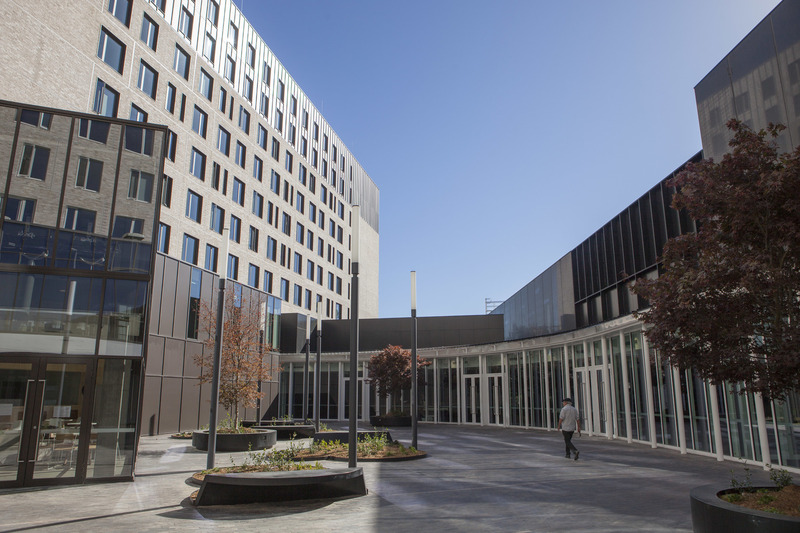 Both buildings set a new standard for reduced carbon footprint, construction innovation and wellness. The student accommodation building was also the first building in Australia to use a new prefabricated facade system that enabled 13-metre-long fully complete brick facade sections to be installed within 20 minutes.” Constructed by Lendlease, Kambri is one of the largest construction projects in Canberra since the building of new Parliament House, projects of this scale and pace are only possible with the complete collaboration of all parties. Kambri precinct at the Australian National University. Kambri includes: the culture and events building with a 500-seat large auditorium and a 200-seat flexible space both with retractable seating, a 200-seat cinema and a drama theatre all used for teaching and cultural events; a new student hub that brings together student services and student groups into one building; a teaching building which is a non-departmentally owned space with seminar and informal learning spaces; a health and wellbeing building, and a pool and gym combined facility. All positioned to embrace a sequence of new open spaces. 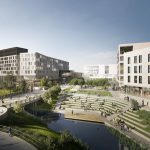 “The precinct is designed as an urban environment that has an extended life of activation to enable a rich dialogue between occupants of the public space and those in the buildings.” Ninotschka said.